The Wits Yacht Club has been placed sixth in the overall Cape to Rio 2014 race after an epic 23 days at sea. This is the first time since 1984 that a Wits team participated in the prestigious sailing competition. 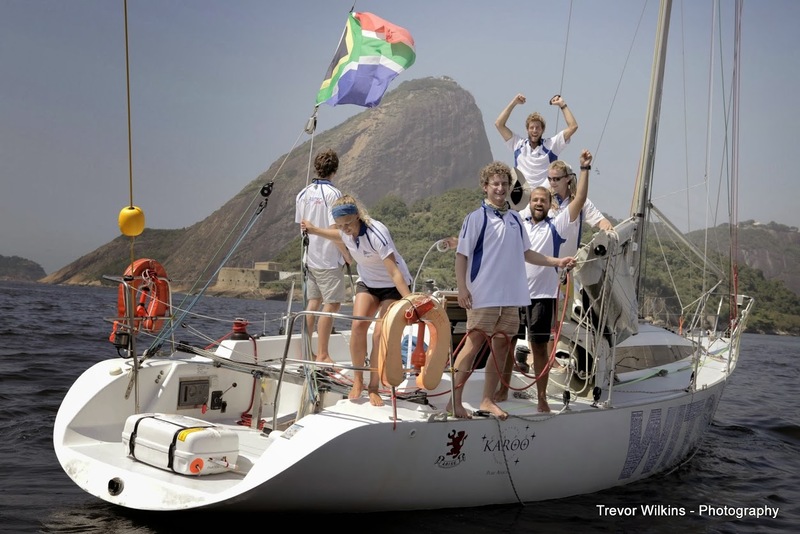 The Amtec Wits crew was made up of seven Wits students, who set sail on January 4 this year and arrived in Rio on Tuesday night, January 28, nearly a month later. Team Wits was one of 37 teams in this year’s competition. The team comprised: Brennan Robinson, Skipper Bradley Robinson, Ricardo de Carvalho, Alistair Moodie, Patrick Chappel, Alexa Brown and Stuart Purchase. The team started raising funds to set sail on the Amtec Wits Aladdin boat as early as June of last year, through their own fundraising efforts. Aladdin, the boat used by the team was loaned to them for the race. Wits Vuvuzela. Wits Yacht Club sail Cape to Rio 2014, July 26, 2013.